200 SRX « Big Squid RC – RC Car and Truck News, Reviews, Videos, and More! You are browsing the "200 SRX" tag archive. 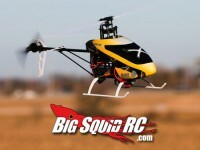 The Raging Rotors Father’s Day Aircraft Buyer’s Guide! Learn to Fly Helis with SAFE Powered Blade 200 SRX!